CEDAS is an interactive, Windows-based design and analysis system for engineers and scientists working in the fields of coastal, ocean, and hydraulic engineering and oceanography. 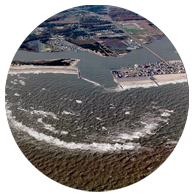 The CEM is the modern replacement of the Shore Protection Manual, the basis for coastal engineering practices in the U.S. Army Corps of Engineers and most standard engineering projects throughout the world. Patches, updates, tutorials, demos, and reference material available for download. 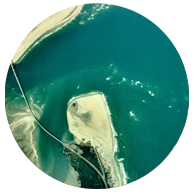 VTE is the primary distributor of software, support, and consulting services for using modeling tools in the Coastal Engineering Design and Analysis System (CEDAS) and the Professional Edition of the Coastal Engineering Manual (CEM 2.01 PE).